Prefab Net Zero Passive Solar Open House!!! Coming Up In September!!! That'z Right, We're Throwing Open Our Modern Net Zero Prefab For You! Come inspect the SIP prefab off grid house up close and personal-like before we finish up the inside and you can no longer see the SIP (structural insulated panels). If you follow our blog, you know we are about to start the "finishing" phase of the interior- solar and rainwater systems, interior walls, and (finally!) furnishing. So this is a good time to give you all a last look of "construction" before we finish. September 26th from 1-4: PREFAB NET ZERO OPEN HOUSE!!!! The green building architect of the casa ti, David Day of David Day Design, will be available on site. 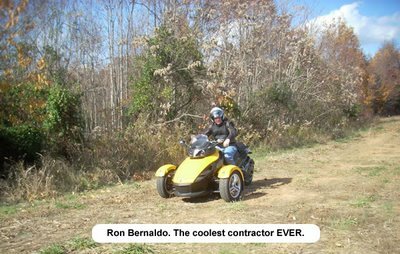 Our fabulous contractor, Ron Bernaldo, will also be there so you can ask him allllllllllllllll your building questions. Obviously if the bike tour ends at four and you are participating just let me know and I will arrange for you to stop on by and see the house kit afterward!!! Just make sure to mention it in your email and we will plan accordingly. Check out all the neat things Ride In The Heartland has lined up! The Town of Charlotte Courthouse: All day: Walking Tours of Charlotte Court House. Museum is open. Mrs. Esh's Amish Store will be open just down the road from us. If you would like directions I am happy to give them to you but you need to know you may NOT take pictures of the Amish. 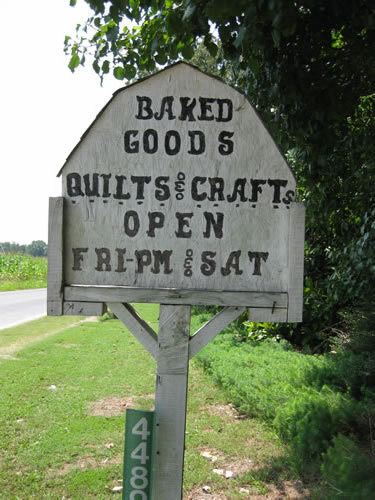 She has *delicious* bread, relishes, jams, cookies, fruit, vegetables, quilts for sale, as well as handmade toys and chests. It's time again for our annual festival featuring alpaca craft demonstrations and just plain fun! Come out and bring the family to pet the PR boys, lead an alpaca, shop in our store, attend a free Alpaca Q & A Seminar and enjoy the day! Our hours of operation are from 1:00 p.m. to 6:00 p.m. Groups by appointment. A bit more laid back than Pacafest, Farm Day is part of a national open house at alpaca farms around the Nation. Enjoy a relaxing afternoon of wandering the farm, leading and petting an alpaca, attend a free Alpaca Q & A seminar and shop in our store. For accommodations, see here (camping at the Heartland Bike Tour), here (Charlotte Courthouse bed & breakfasts), here (Appomattox bed and breakfasts), and here (Farmville lodging); and also be sure to visit Miss Emily's, where Necia and her husband will show you great English hospitality. See the prefab video here! Green Modern Kits offers prefab, energy-efficient houses through its website. Hankering for an energy-efficient, maybe even off-the-grid house that won’t carry an upper-middle-class price tag? Check out Green Modern Kits, a Virginia-based company that offers affordable prefab kit homes through its website, greenmodernkits.com. Founder Copeland Casati tapped Charlottesville architect David Day as part of the design team for the houses, which are built of SIPs (structural insulated panels) and designed to work as passive solar homes if oriented correctly. That adds up to savings on the front and back ends. And if your aesthetic is more traditional, try Casati’s other site, greencottagekits.com.—E.H." ...And that's our Prefab Update! If you have any questions, please do not hesitate to contact me at copeland@greenmodernkits.com. Modern Prefab House Construction Project Updates From West Coast To East Coast From Green Modern Kits! At our modern prefab house companies, Green Modern Kits and Green Cabin Kits, we are having a very busy fall and winter. Here is a quick update, and I will be going in to each passive solar modern prefab house construction project in much more detail in the coming weeks. In general, when potential clients ask for SIP fabrication quotes from the factory, I tell them the estimated time for fabrication of the panels is about 4-5 weeks. Now, even in winter, this year I need to tell them 6-8 weeks, because that's how busy the plants are, east coast or west coast. It's not just the plants; the architects are slammed, the engineers' schedules are full... so if you are planning on purchasing a prefab home, what you need to know is that if you leave things "as is" and don't start customizing anything that would involve an architect or engineer, even so, it will be a few weeks longer than usual. Greetings from Green Modern Kits! If you hadn't heard, there is a new prefab house kit construction project underway in the Pacific Northwest from our sister site, Green Cabin Kits. Yes, the modifiedDogtrot ModPassive Solar Modern Prefab House in the Pacific Northwest begins. Ok now let's dig into this prefab construction project! First: Wait. What happened to the Dogtrot Mod?!? The clients extensively changed it! They enclosed the breezeway to accommodate for their Northwest local conditions. The breezeway is now a solarium! They also changed the roofline to address snow loads / local conditions, as well as to add solar. Off Grid Net Zero Passive Solar Prefab Green Home...OPEN HOUSE April 10th! Quick Reminder: We will have our second Net ZeroEnergy, Passive Solar Prefab Green House Kit Open House coming up fast on Saturday, April 10th, from 1-3 p.m.
To see the latest on the Virginia off grid net zero project, click here. To register for the Open House, send us an email with your name, email, and phone number so we can send you directions the week of the event. For planning purposes, know the prefab net zero modern house kit is located between Farmville and Appomattox, Virginia. Like last time, we scheduled the prefab house kit open house to coincide with historic and fun events showcasing this rural, beautiful, and historic area of Virginia. Visit Patrick Henry's Red Hill!